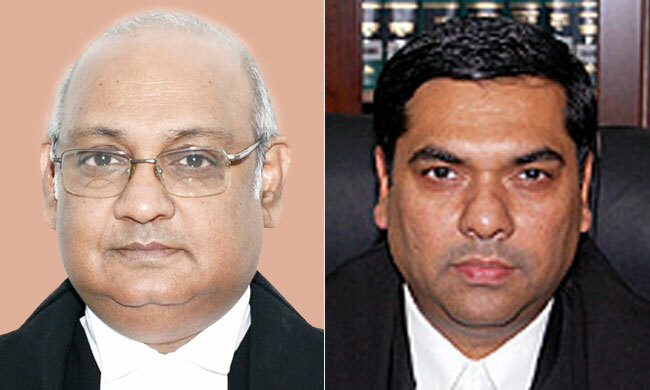 The President has today notified the appointments of Justice Dinesh Maheswari and Sanjiv Khanna as Supreme Court judges. Justice Dinesh Maheshwari is currently Chief Justice of Karnataka High Court. Justice Khanna is a judge of Delhi High Court. It was on January 10 that the SC Collegium recommended their elevation. This decision became controversial as it was in reversal of the previous decision taken on December 12 to recommend the elevation of Justices Pradeep Nandrajog and Rajendra Menon, Chief Justices of Rajasthan and Delhi High Courts respectively. The minutes of January 10 meeting read: "The then Collegium on 12th December, 2018 took certain decisions. However, the required consultation could not be undertaken and completed as the winter vacation of the Court intervened. By the time the Court re-opened, the composition of the Collegium underwent a change. After extensive deliberations on 5th / 6th January, 2019, the newly constituted Collegium deemed it appropriate to have a fresh look at the matter and also to consider the proposals in the light of the additional material that became available"
This overturn has drawn a lot of flak from several quarters. Justice Kaul has reportedly written to the CJI expressing his displeasure over the decision to elevate Justice Khanna superseding Justice Nandrajog. Yesterday, former Delhi High Court judge and Senior Advocate Kailash Gambhir wrote to the President of India, questioning the January 10 decision. The letter claims that the decision has sent shockwaves across the entire legal and judicial fraternity, and calls it "appalling and outrageous" and an "earth-shattering decision" by the Collegium to supersede as many as 32 judges, including several chief justices. The decision, he says, casts aspersions on the intellect, merit and integrity of all those who have been superseded.